The Nigeria Labour Congress (NLC) has condemned the sack of 5,000 local government workers by the Kaduna State Government. In a statement yesterday in Abuja, President of NLC, Mr Ayuba Wabba, said the action of the state government was illegal. According to him, the Nigeria Labour Congress strongly condemns the mass sacking of 5,000 local government workers by the Kaduna State Government. “The purported sack violates the provisions of all labour laws, industrial relations practice as well as processes. “The reasons adduced by the government are spurious and unfounded. “Aside from this, the process is patently faulty and unlawful, and redundancy cannot be carried out without following the provisions of the Labour Act. “When Kaduna Government announced the plan to lay off about 25,000 teachers for failing a competency test for Primary Four Class, we expressed our misgivings. “We said that the so-called competency test was a subterfuge and part of a premeditated plan to drastically cut down the workforce. “This is in furtherance to dangerous neo-liberal policies. The latest illegal mass sack of workers lends credence to our assertions or fears. “We would want to warn of the consequences of the reckless actions of the government of Kaduna State and will call for caution and restraint on the part of the government,’’ he said. The labour leader said it was evident that the state government did not give sufficient consideration to the social consequences of dropping off 5,000 workers. 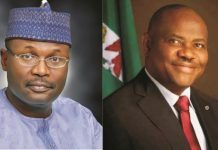 He deplored reports that the governor boasted that no one or nothing could stop him from carrying out his agenda of mass retrenchment of workers.